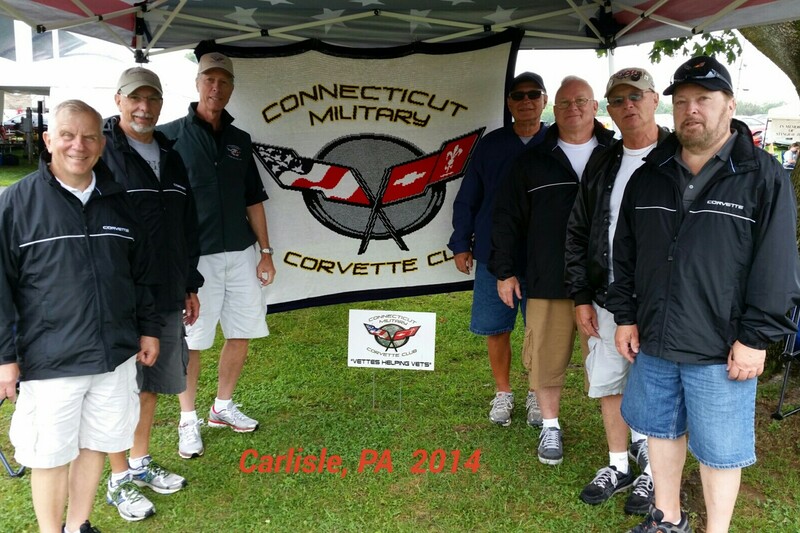 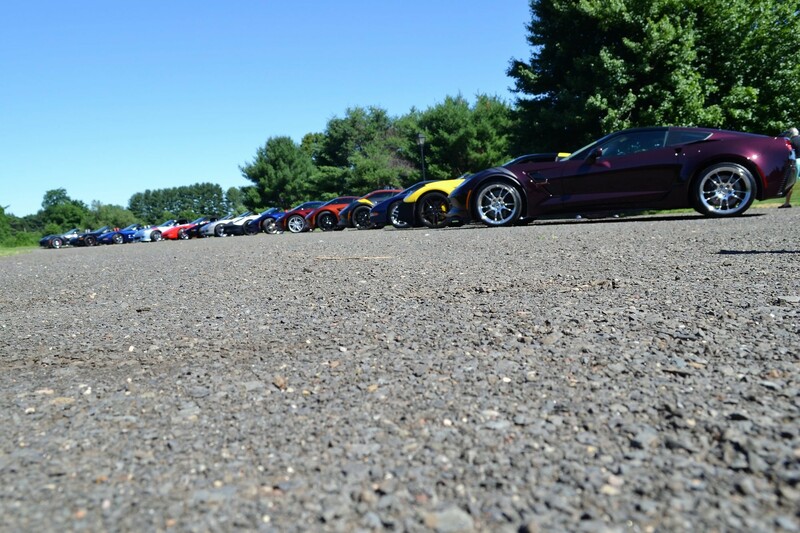 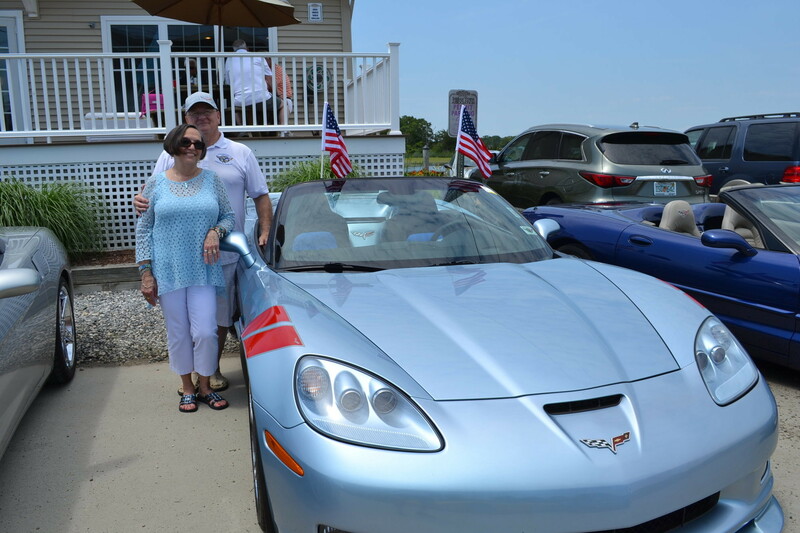 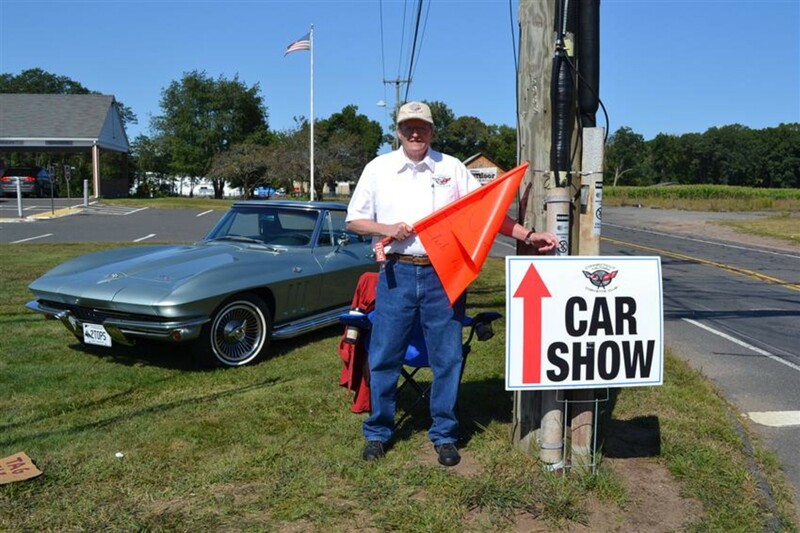 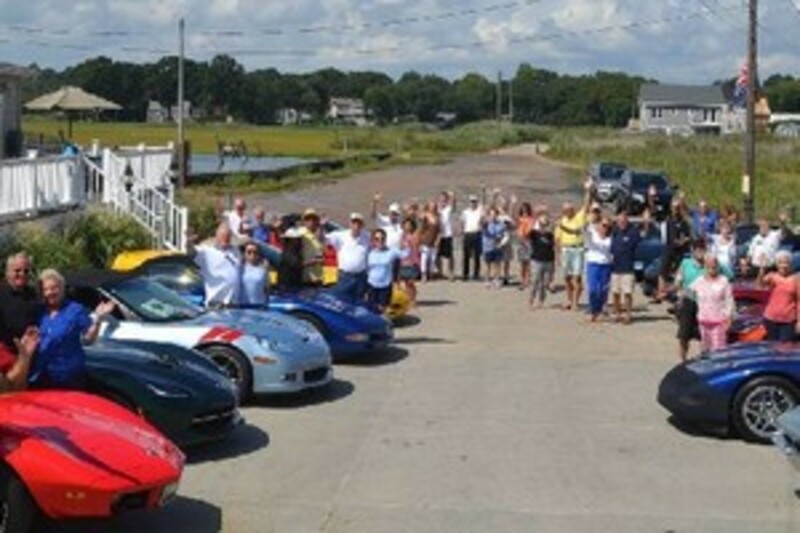 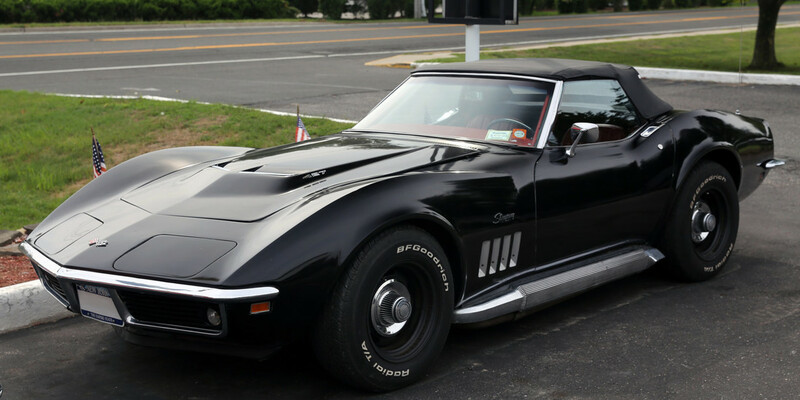 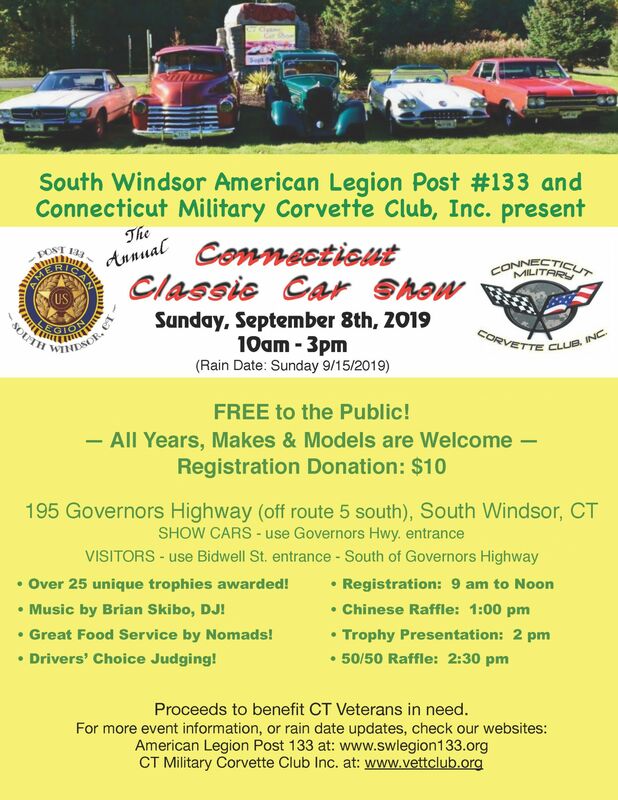 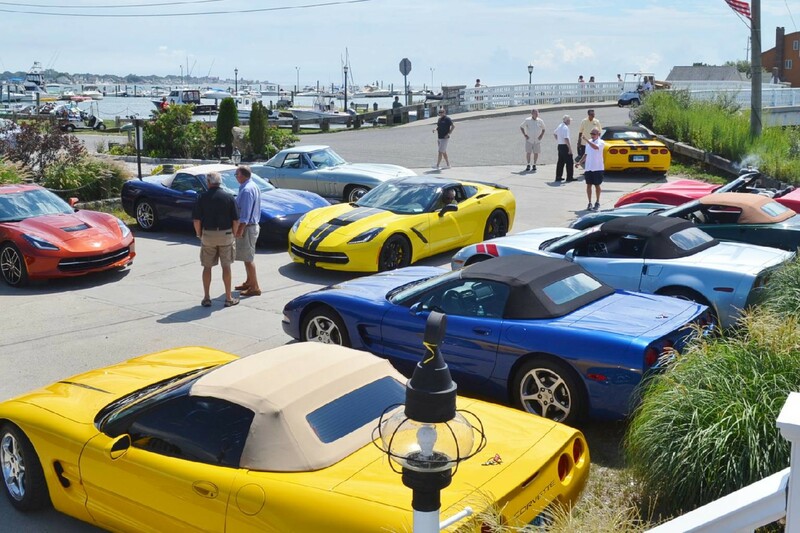 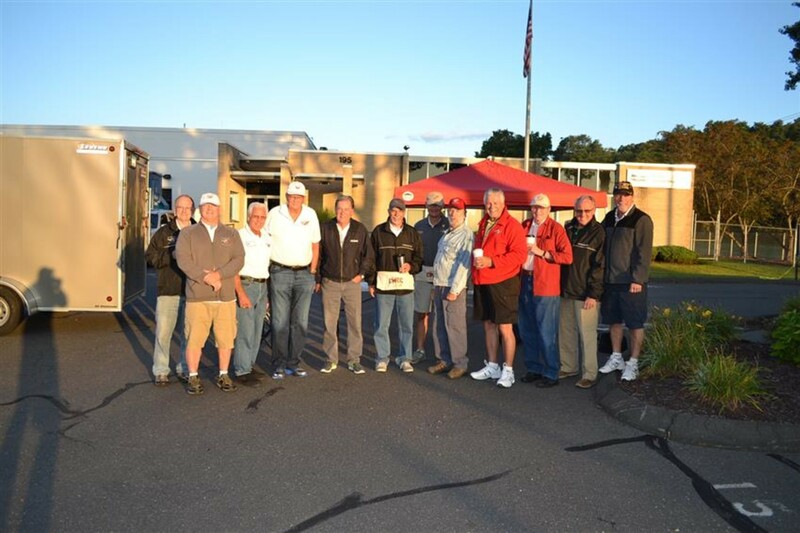 The Connecticut Military Corvette Club (CMCC) is a club of dedicated Corvette enthusiasts that take pride in their cars and provide a supportive role in the Connecticut Military community. 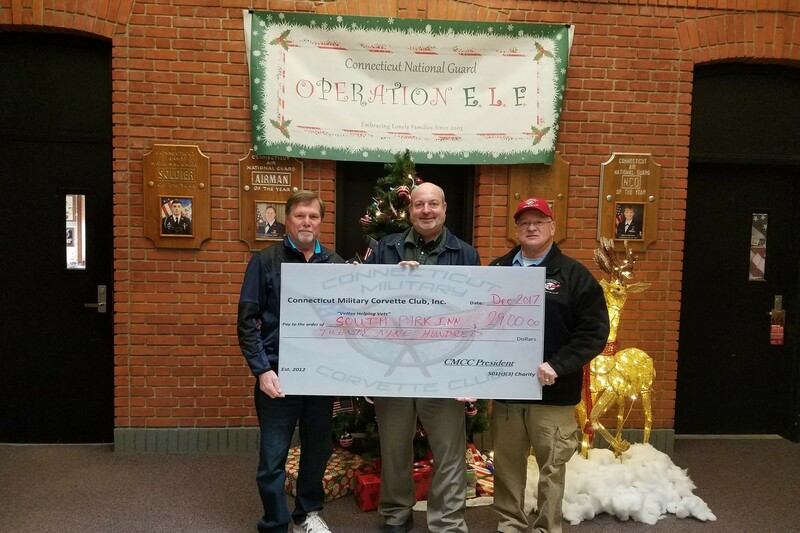 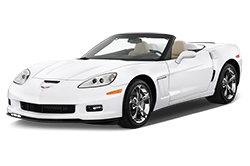 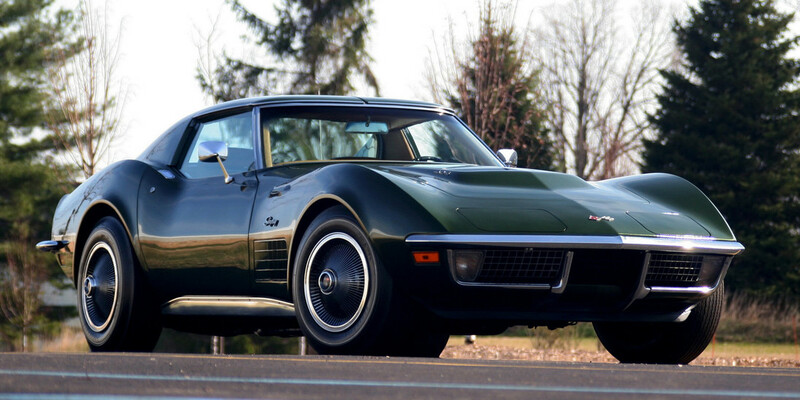 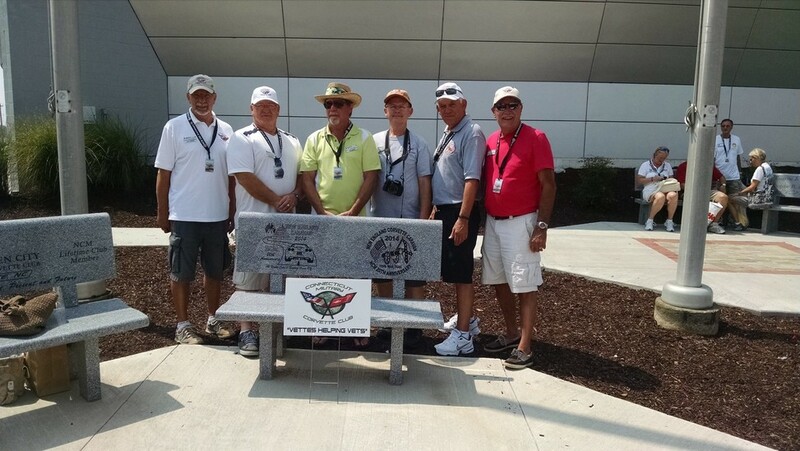 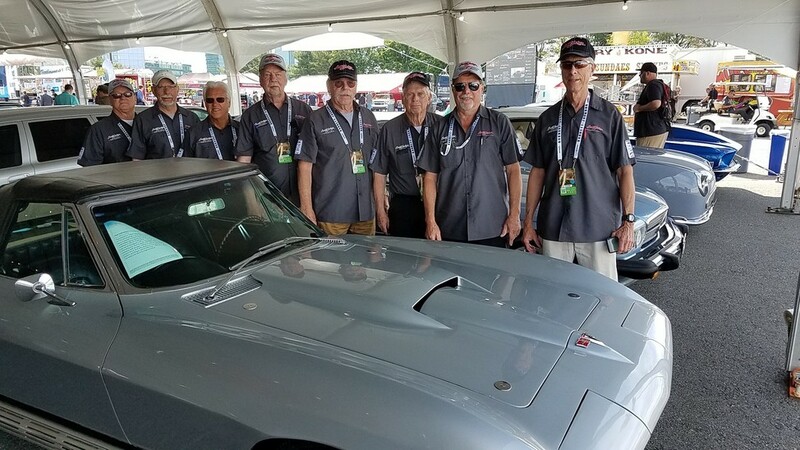 CMCC's vision is to promote interest and respect for the Corvette as the finest American made sports car and to serve the less fortunate past and present members of the military and civilian community. 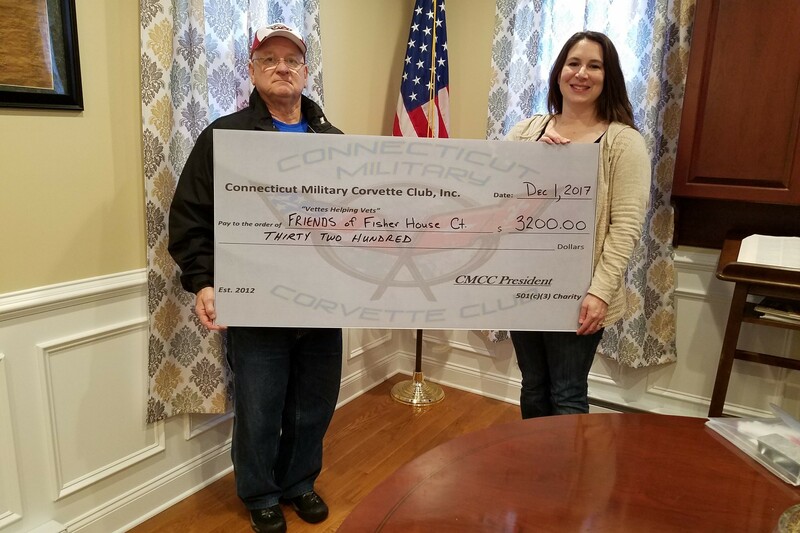 All of the revenue that we generate from shows and contributions by our sponsors or the public goes directly to charities that support veterans. 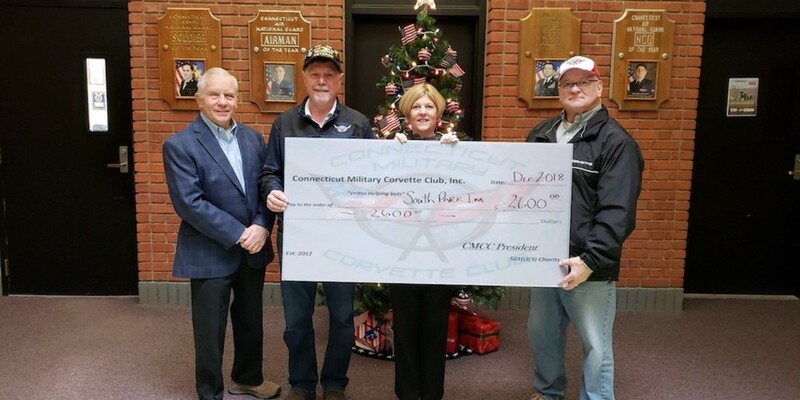 In 2018 we supported nine veteran organizations that are listed at our website. 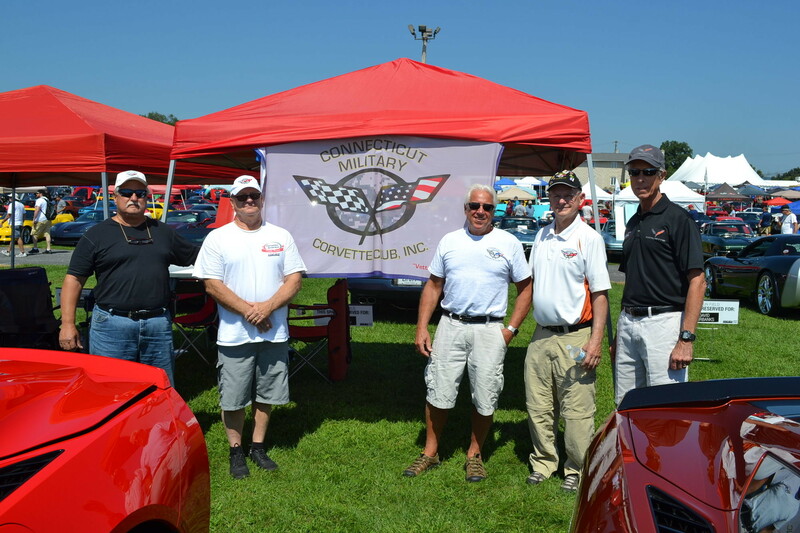 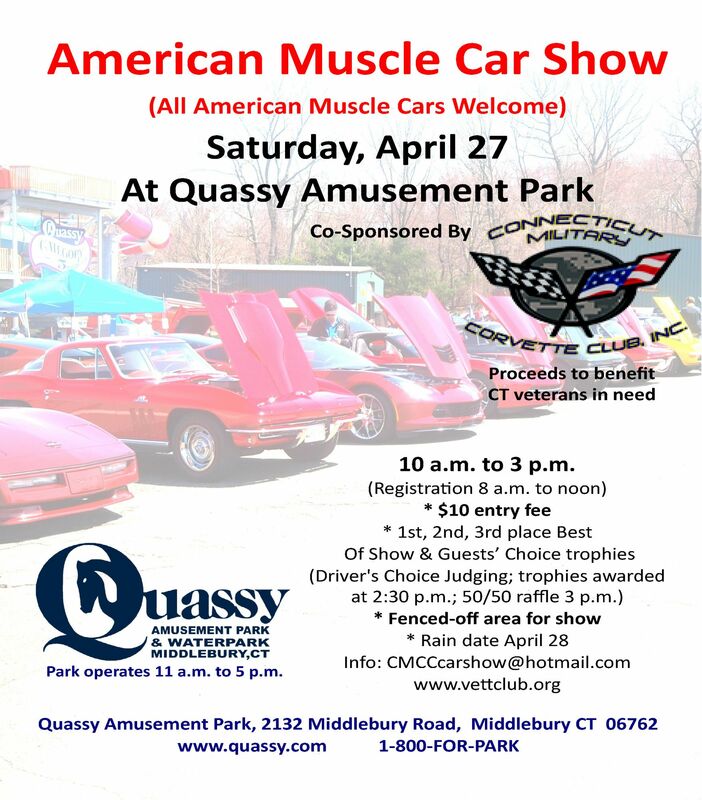 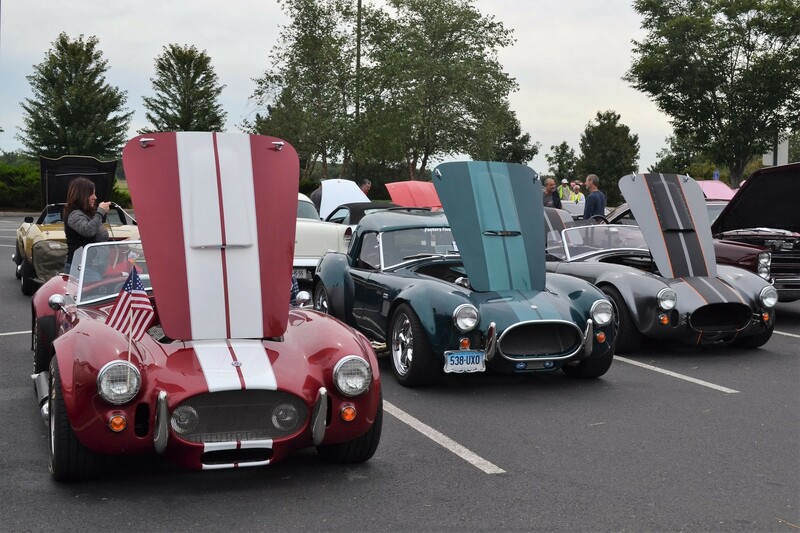 We have an exciting year planned for 2019 with management or participation in a number of car shows that include the American Muscle Car Show at Quassy Amusement Park, the Cabelas Classic Car Show, and the Annual South Windsor Classic Car Show co-hosted with VFW 133. 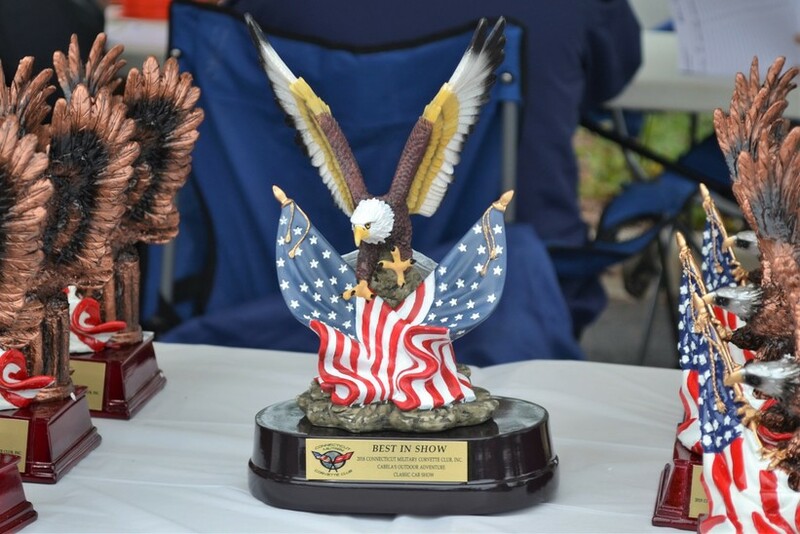 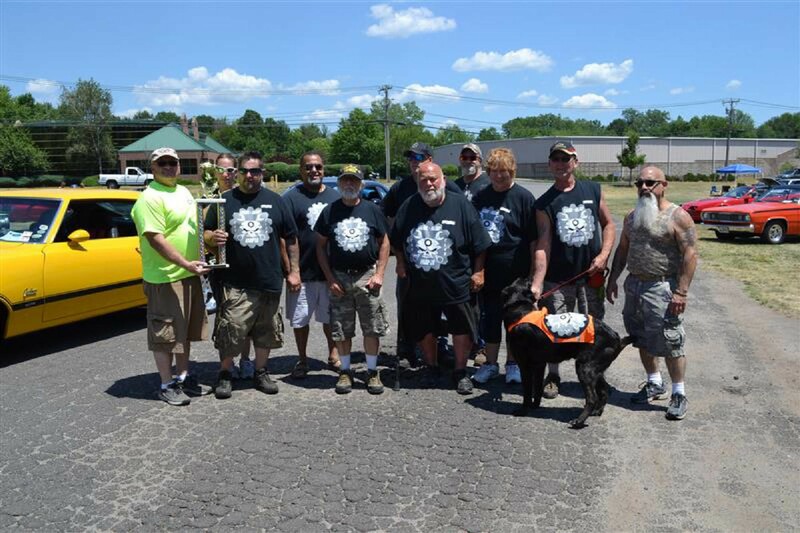 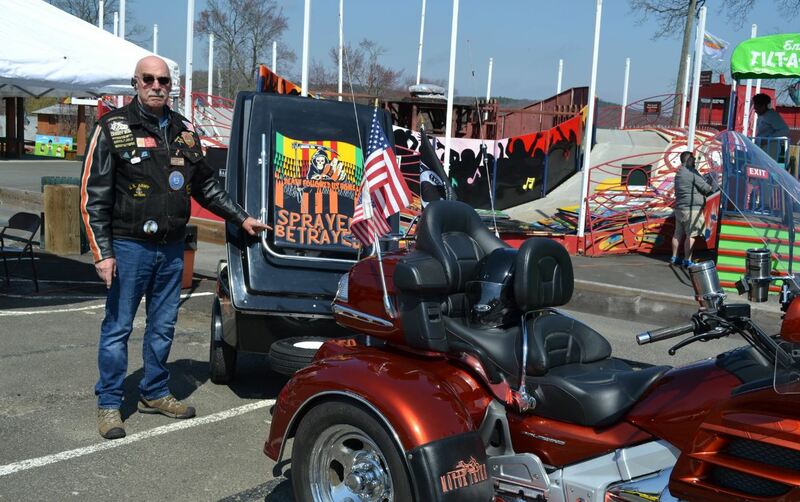 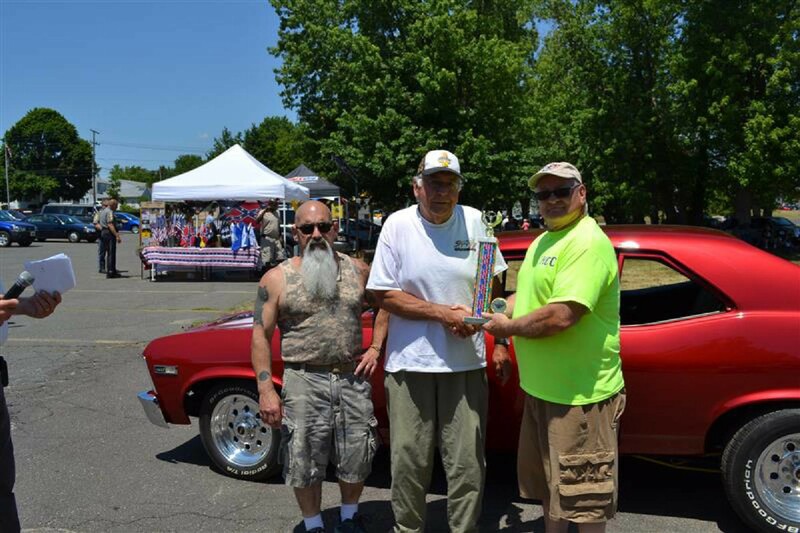 These car shows generate funding for our mission of veteran support. 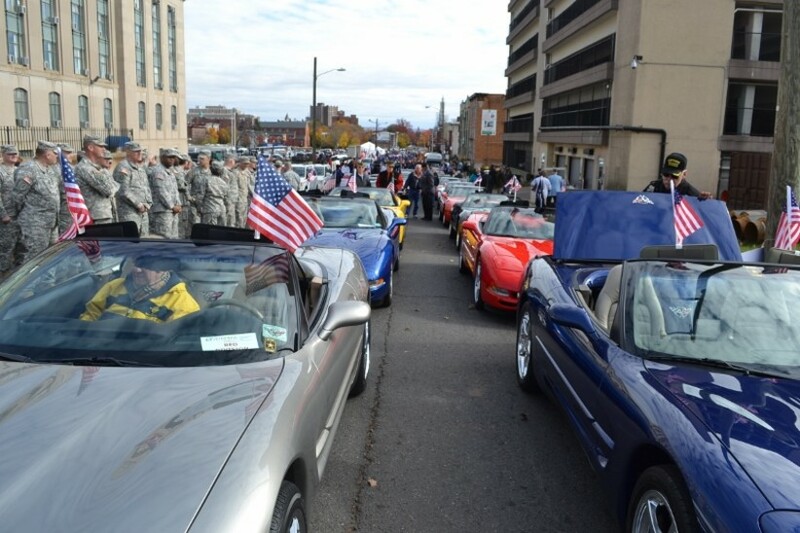 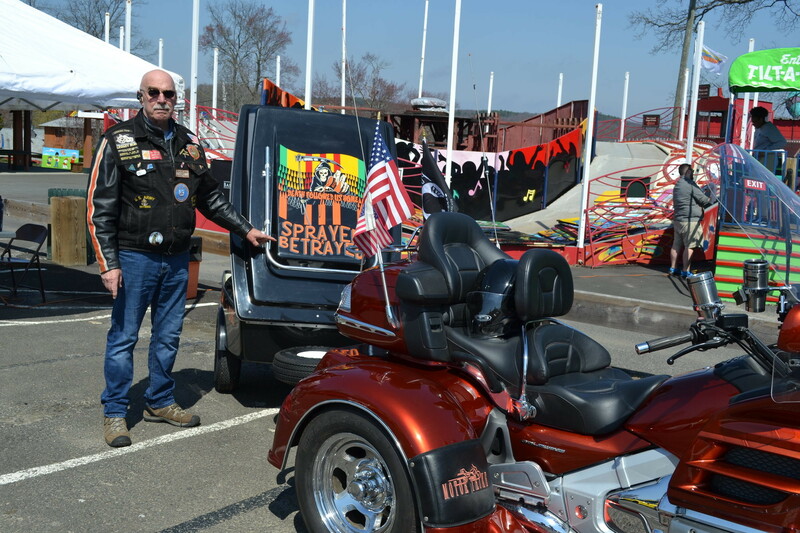 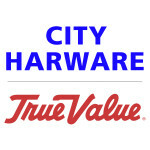 Additionally, we have participated in a number of military-themed events such as the Veterans Day parade in Hartford and the Vietnam 50th Anniversary Show. 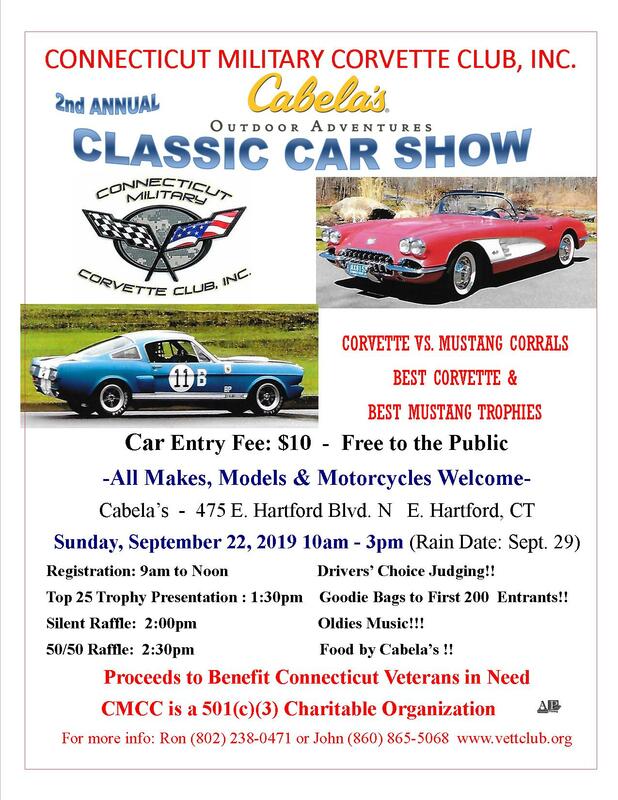 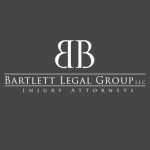 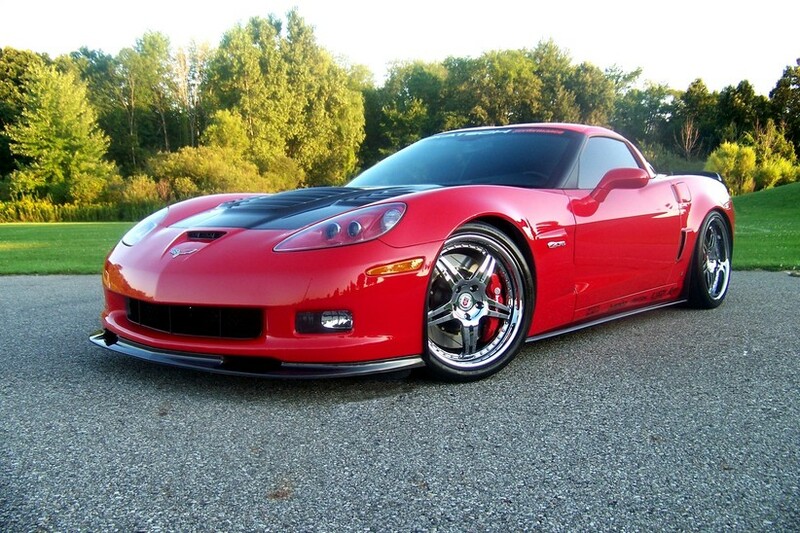 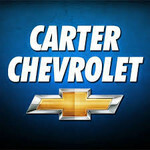 We also provide driver support for the Barrett-Jackson Auction at Mohegan Sun. 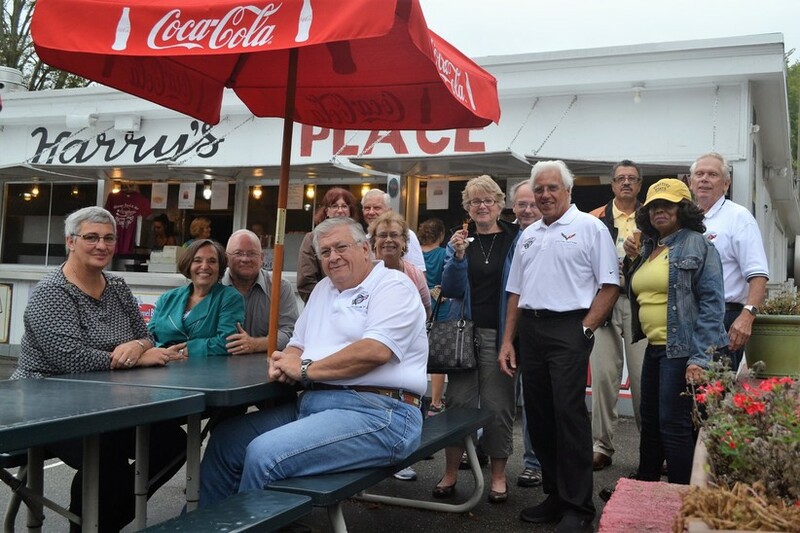 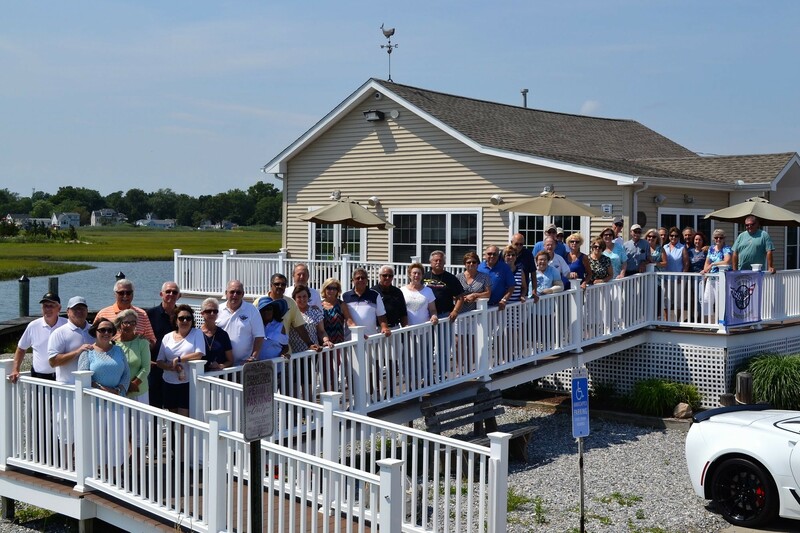 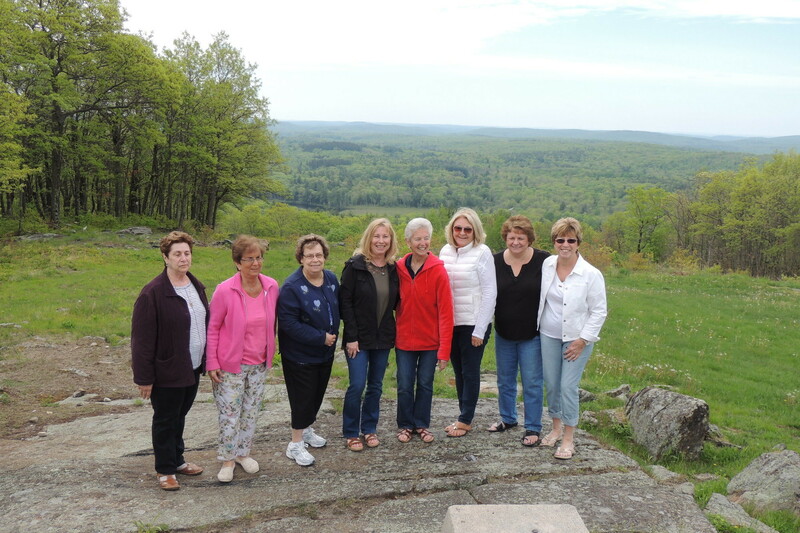 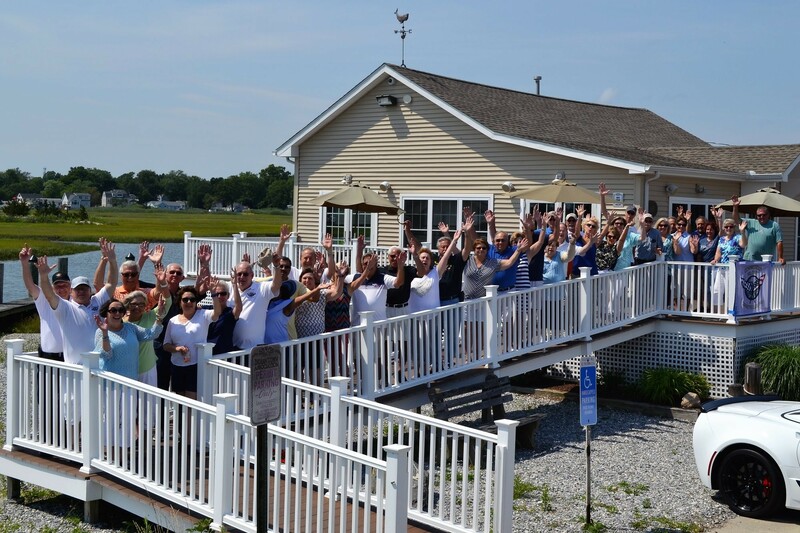 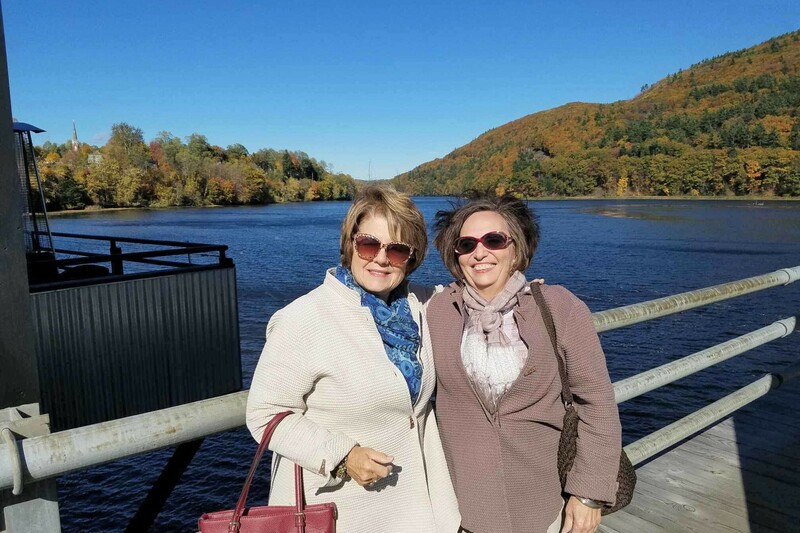 Additionally, the club has a number of social events throughout the year that provide opportunities for interaction among club members and their spouses or friends. 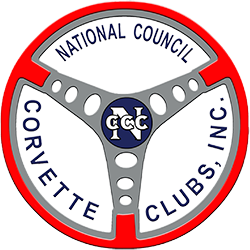 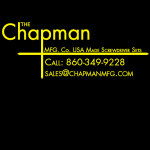 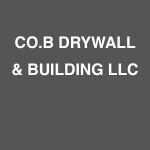 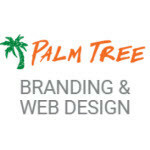 Please contact us to learn more about our various activities and membership in the club. 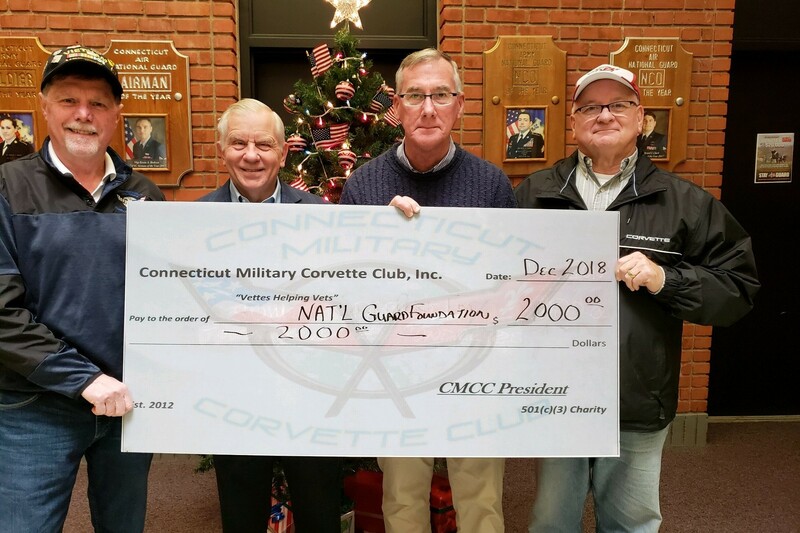 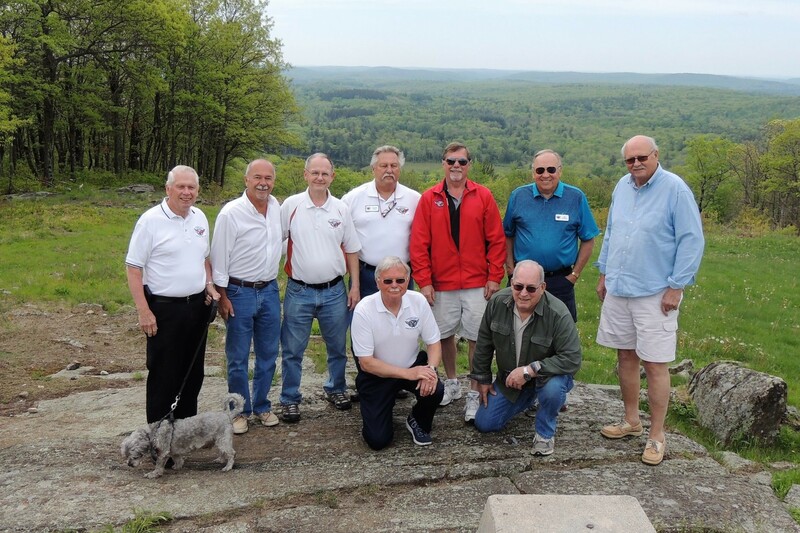 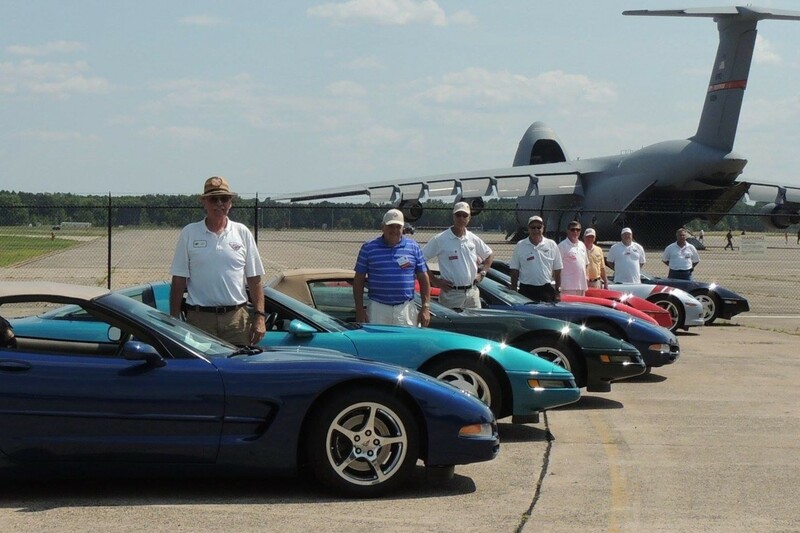 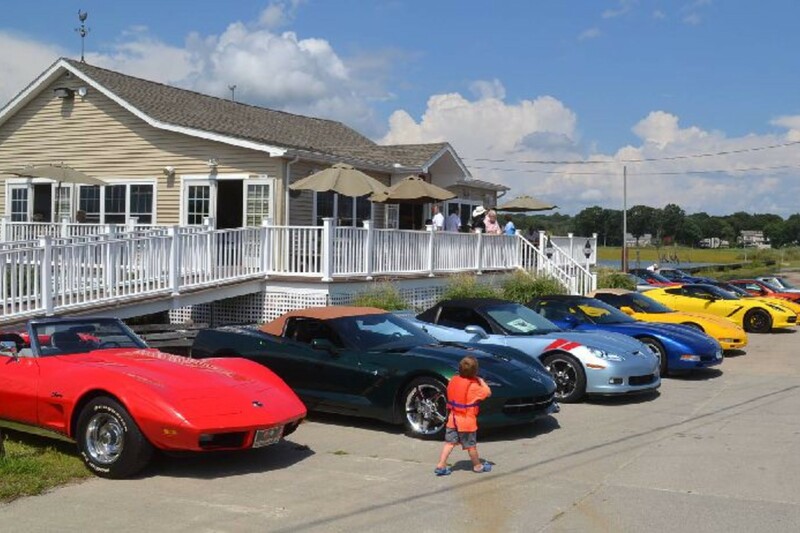 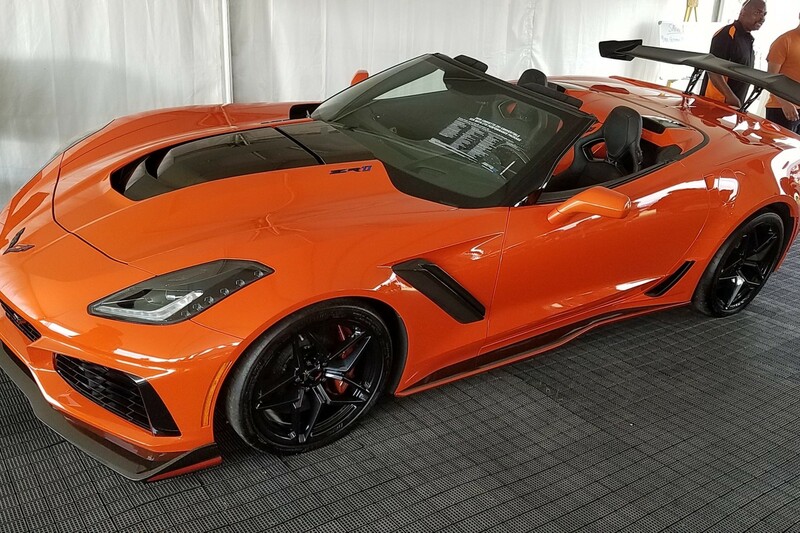 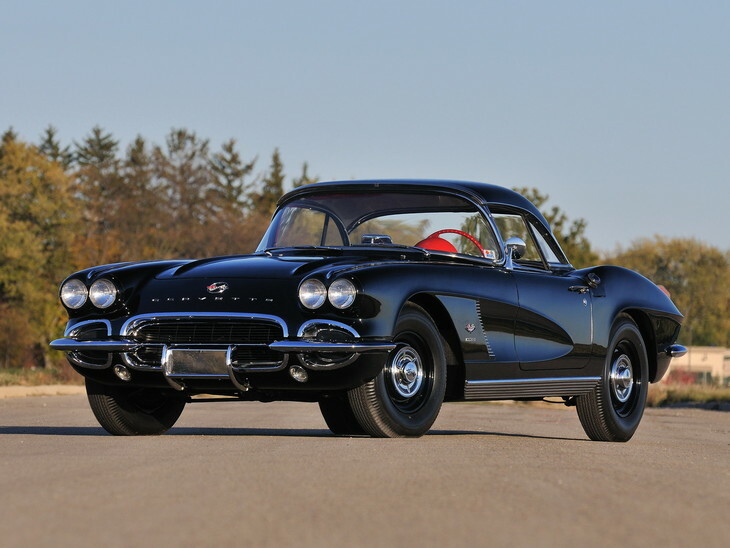 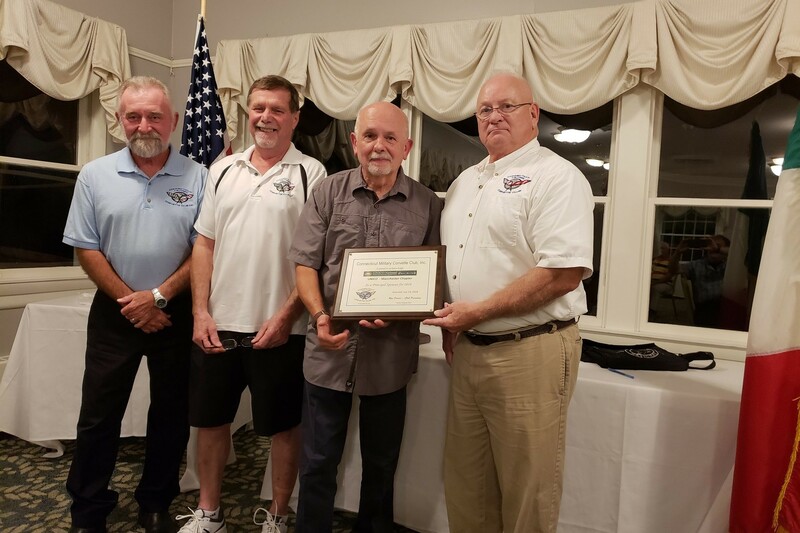 The Connecticut Military Corvette Club (CMCC) is a club of dedicated Corvette enthusiasts who take pride in their cars and a supportive role in the Military community.